YouTube has recently updated your analytic reports to show the importance, their algorithms place on watch time rather than the amount of views a video receives. I’m going to reveal to you how I discovered a little quirk in one of my videos, despite receiving more dislikes than likes, still mangers to outrank other all others similar videos on Google due to watch time algorithm. The old Analytic Report focuses on the Videos Views and the Estimated Minutes Watched to measure the Performance of the Video. However with the new Analytics, the emphasis is on Watch Time and Average View Duration. Despite my video “Do Subliminal Messages Really Work” getting more Dislikes than Likes, it still ranks on the first page of Google. In fact it is the only video on the page. Why? Because this video has a very high and somewhat unusual Audience Retention. Halfway through the video, there is a ‘subliminal test message’. Viewers replay this section of the video over and over again which boosts the Watch Time. So why does Youtube reward videos based on watch time above all else? The number of video views does not indicate whether it is a good video or not. A video with an enticing title or thumbnail may increase views, but if the video fails to deliver, particularly in the first ten seconds, then viewers will abandon the video and go watch another one. Well let’s look at it from YouTube’s perspective. They want as many people as possible to watch videos on their platform, for as long as possible. 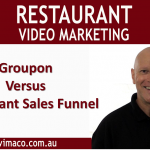 Obviously good videos that engage their audience will help them to achieve that. But YouTube is also interested in what your viewers do after watching your video. To put it simply, happy and engaged viewers will increase YouTube’s revenue stream. So they will reward those engaging videos with enhanced ‘discovery features’ or in other words, help viewers to find your video via search results and suggested videos. These enhancements better surface the videos that viewers actually watch, over those that they click on and then abandon. Now a question that I’m often asked is should I do shorter videos with a higher retention percentage or make my videos longer to increase the watch time. If you have a one minute video and all of your viewers watch to the very end – that a one minute average but a ten minute with an average of only two minutes watch time will rank higher. My simple answer to that is forget the length of the video, just focus on the quality. If you can effectively get your message across in one minute, then do a one minute video. If you need 10 minutes – make a ten minutes video. Here is the most important tip for your YouTube strategy – YouTube is not only interested in how long they watch your video, but what your viewer does after watching your video. If they stay on YouTube, it’s a big plus for you, so makes sure you refer your viewers to watch more of your own content – that way they stay on YouTube to watch more of your content and your video ranks higher. Now if you really want your viewers to stay to the very end of your Video, offer them a free gift such as infographic or ebook. But be sure to let them know about the offer right at the start so that they will know to stay with you.